“Adenkama” is a song of gratitude to God for unexpected blessings, undeserving kindness, uncountable miracles and answered prayers. 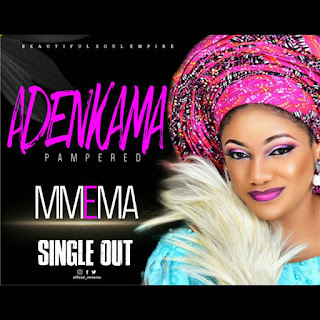 “Adekanma is a song for a nobody who became somebody by grace. It’s a song that the unqualified sing when God makes them sit at the table with the qualified. It’s for that woman they said will never be a wife or a mother, who became one. It’s a song the rejected sing when God makes them recieve honour they thought they’d never get. Oh and finally I would say it’s a song to celeberate life especially in these trying times.